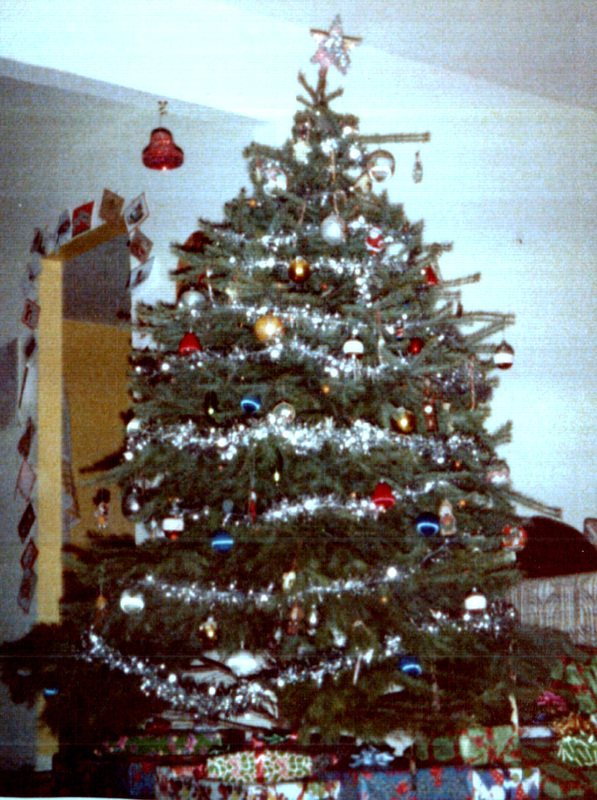 Each year when we decorate the house for Christmas, I can’t help but recall the trees of my past Christmases. While my current tree is lit by tiny white lights with red and gold beads strung carefully from branch to branch, our childhood tree was lit with large colored bulbs and covered with individual strands of silver tinsel. Done properly, the tinsel was carefully applied strand-by-strand, but eventually, we just threw bunches on the branches. Did we save it for the next year? I am guessing it was not worth the trouble to do so, and it ended up still hanging on the tree when it was put out with the garbage. 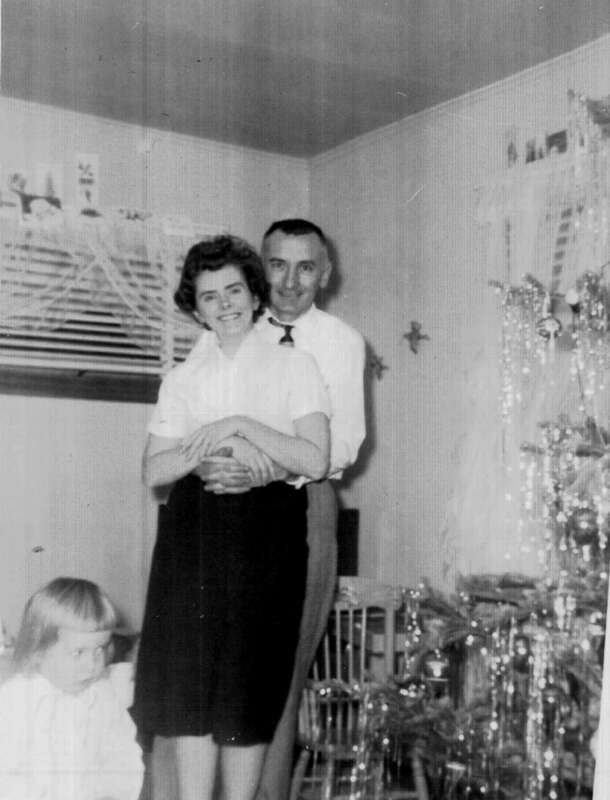 When Dad and I got married, we abandoned the tinsel for the silver garlands, which was draped from branch to branch. Some people draped it vertically—tying them together at the top and letting them cascade to the bottom, but we weaved the garlands around and around from branch to branch. 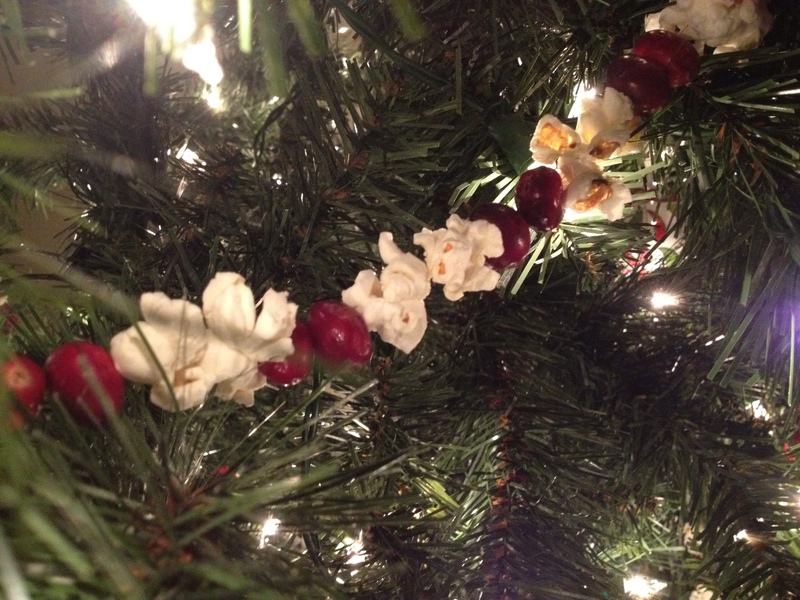 One year, I think before any of you were born, I decided I wanted an old-fashioned tree, so we strung popcorn and cranberries together on long strands of thread and then wrapped them around the tree garland style. I may have done it twice, because it turned out to be an easier task in the movies, but in real life, the popcorn would break apart as I stuck the threaded needle into each piece of popcorn. Because of the difficulty in creating this magical Christmas from days of yore, I remember attempting to save the strands for the following year. It never worked, so from then on, it was back to the garlands. Eventually, we tired of that look and bought strands of red and gold beads which, to this day, still adorn our tree. Those beads, tiny white lights, and many, many ornaments tell the story of my past: the forty-one ornaments which I purchased every year since my college days (some a remembrance of a special vacation), several crafted by me in the ceramics classes in New York and New Jersey, many done by the three of you in school and at home, two done by Bryce, and one crafted by my sweet Aunt Lorraine. Our tree always looks the same now, but I would not consider changing the look. I don’t want to erase those memories. I was taking out my Christmas decorations today when I came across an interesting family heirloom. Don’t get excited, girls. My find is nothing that will sell for lots of money. In fact, probably no one will want it except for me. What I located in my dining room was a pair of baby shoes that Grandma had bronzed. Odd, right? Apparently, it was the thing to do at one time and has come back into fashion. 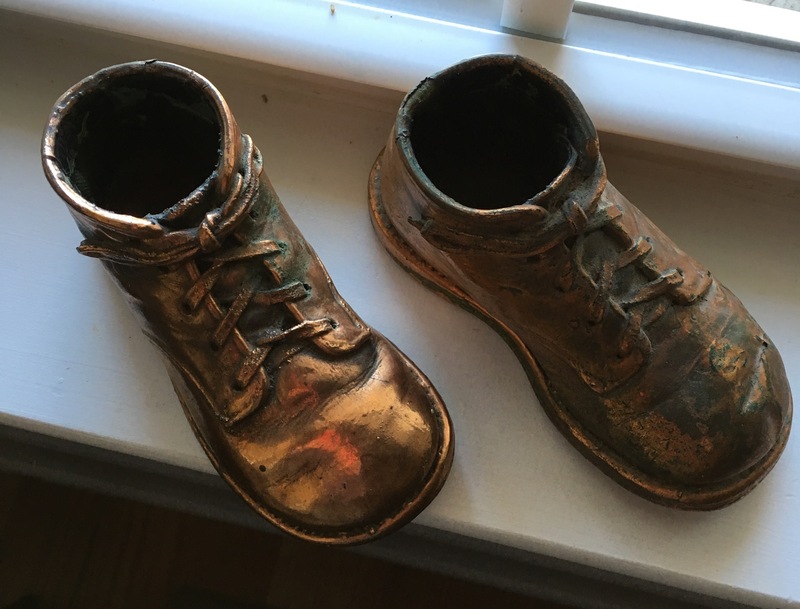 People like Grandma would send in their baby’s first shoes and they would be retuned all nice and shiny after having been dipped in bronze. So Kelly, pull out the kids baby shoes and hurry, hurry, hurry before the company goes out of business or you change your mind. Then someday, you can come to your children’s homes and maybe locate their bronze shoes tucked away somewhere. Trust me, your kids will want this keepsake of their youth. You know how much I cherish mine, based upon how often I talk about them—Never! I guess I am not sentimental about everything! You all loved Shrek and glorified it as if it was a Barry Manilow or Steely Dan song. So Dad and I watched the movie waiting for the feelings of overwhelming joy and the desire to watch it again to hit us. Sadly, although we acknowledged that it was an enjoyable film, it did not measure up to the promotion. From then on, whenever someone in the family recommended a film, a television show, a book, or whatever , they would first preface the suggestion by saying, “it’s not a shrek,” meaning it is definitely worthwhile. Jamie, the avocado tuna was definitely a shrek for me—sorry to say. (I did love your hoison-glazed salmon though.) Being a grandma has absolutely not been a shrek, and the Chinese restaurant in Silver Spring—the one which provided us with dinner and an unexpected show— was not a shrek either. 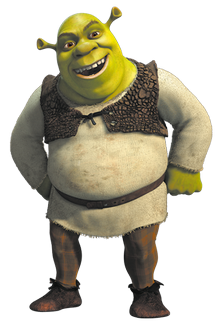 Have any of you been disappointed with any shreks lately? During a period of four years, we moved three times. Each move resulted in eliminating more clutter from our homes. It has now been nine years since we decluttered our lives and took up residency in another state. I realize that we still have a lot of unnecessary stuff which has not been touched in years, so I recently decided to pretend to move. I have been going from room to room, opening up drawers and closets along with boxes in the attic, trying to determine which possessions can be tossed. Yesterday, I discovered a bag of plastic Disney figurines which belonged to Jamie. Since the next generation of our family is being slowly introduced to Belle, Ariel, and their other famous friends, I decided to share my discovery with the kids. While Lily was happily playing with Belle and Ariel, I decided that background music was needed, so I pulled out my phone and turned on “Part of Your World.” Lily clearly recognized the tune from Little Mermaid, so she immediately grabbed my phone and stared at the video, mesmerized by what she was viewing. The power of music transported me back to our home in New Jersey, where I was watching the three of you dancing to “Little Town” from Beauty and the Beast. Jamie and Kelly were singing “there must be more than this provincial life,” and later, Casey was belting out “I can show you the world, shining, shimmering splendid…” from Aladdin. As Lily smiled through “Part of Your World,” I was taken back to that day on the beach where the three of you, along with Carly and Chris, met Sebastian the crab. Are you surprised to learn that those songs brought happy tears to my eyes? Those were such sweet times! When Bryce walked into the house, he was also attracted to the new toys and went over and grabbed one of them. Well, when Lily saw Bryce holding “her” new toys, she became enraged and a battle ensued. Our beloved Disney characters never grow old. Incidentally, Happy Birthday Princess Casey! I wish to pat myself on the back for raising you all to be very adept at being sneaky and secretive, which was proven for the second time this past weekend. Although I am uncertain when the plotting began, I do wish to acknowledge that even the four-year old of the family has been trained in the art of duplicity. 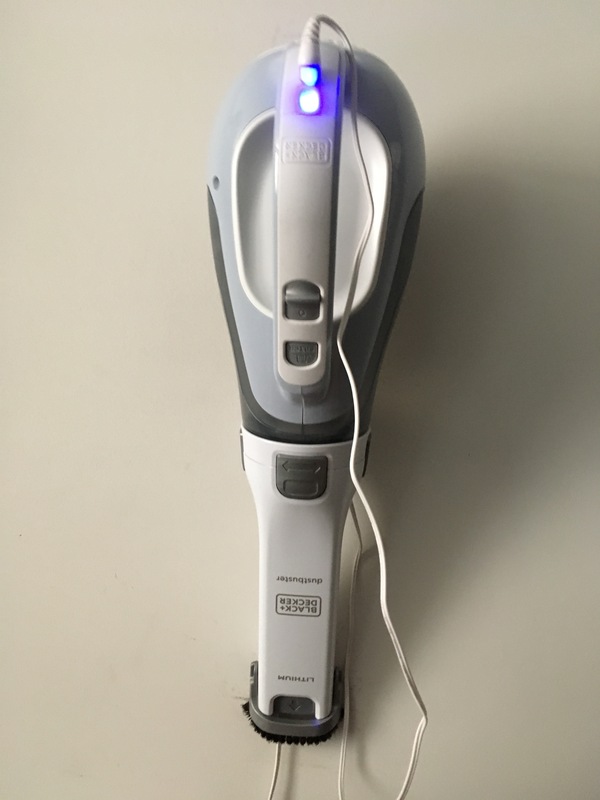 They did not have a functioning dustbuster, so Bryce asked to borrow ours when they came to the house to get some basil for soup they were making for us that day. I should mention that we have not had dinner with them for quite some time, but suddenly Kelly was very insistent on having dinner with us this week. So on Thursday Bryce stormed into the house after school and was quite excited for both of us to come outside to witness the results of his cleaning. “You will be so impressed,” he told us. We were not suspicious of any funny business going on, so we headed for the car and were shocked when Jamie and Geoff popped up from inside the car. Dad and I were truly both surprised but more impressed that Bryce could keep a secret than clean a car. We also felt so fortunate to have seen both our distant daughters two weekends in a row. Two years ago, I wrote about a conversation I had with Bryce about a train accident Grandpa was involved in when he was in the army. Two civilians and one soldier were killed. Grandpa said the man who died had been sitting in his seat and had asked to switch seats before the fatal crash, so that man, Corporal Thomas Vest, died, and Grandpa survived with just a back injury. I recently read a book which involves time travel, so I got to thinking about what would be the implications if one of Corporal Vest’s three brothers had climbed aboard a time machine and had boarded that train in order to prevent him for switching seats with Grandpa. How many lives would have been affected by that action? In the most basic analysis, one could argue that the number is seventeen—Grandpa’s five children, ten grandchildren, and two great grandchildren. But what about the eight spouses, who may have married others, producing a different set of children? We can’t just stop there, because each never-born life in that alternate scenario touched countless other lives. How would the lives of those people be altered if those seventeen people had never been born? Would the world still be taking selfies and communicating on their cell phones if I had never been around to invent it? As a nurse, Aunt Ar has dealt with countless patients in the hospitals she has worked in over the years, so I believe that a world without her may have erased a few lives from this planet. She will argue against this theory, but I stand firm in my belief. We all remember a favorite teacher, whether it be because of a lesson they taught, an unfair punishment they imposed upon the class, or a private conversation we had with one of them. Jamie has taught hundreds of students in her short time as an educator. Her absence may have been, or may someday be felt by at least one of those students. Is there job that Casey’s company may not have won had it not been for her attention to detail? Is there a bride whose wedding photos may have been ruined that rainy day when Kelly went to Plan B to ensure the weather would not destroy those precious mementos? How many soldiers were comforted by the family pictures she provided them before their deployment? How many fish may have died if Chris had not rushed into work to feed them when bad weather prevented his coworkers from doing so? And will the world be robbed of watching the inauguration of President Lily and the Mars landing of Astronaut Bryce if Grandpa had remained in that death seat on that train?? Grandpa claimed that he continued to be reminded of that November day in Georgia for the rest of his life because his back hurt whenever he tried to pick up his children and grandchildren. The thing is, he had fifty-six more years—“the rest of his life.” Corporal Vest did not, but that one request gave the rest of us our lives. Each of us touches the lives of so many others in ways we may not even know, and one small change of course can profoundly alter the future of countless individuals. It’s mind boggling when you think about the implications! My recent trip to Silver Spring with Dad was like attending an international food festival. We began in Korea, and by the end of the weekend, we had visited eateries representing Venezuela, China, the Mid East, and Russia. Looking back on our choices, those all represented hot spots in the news of late, but that was not intentional. 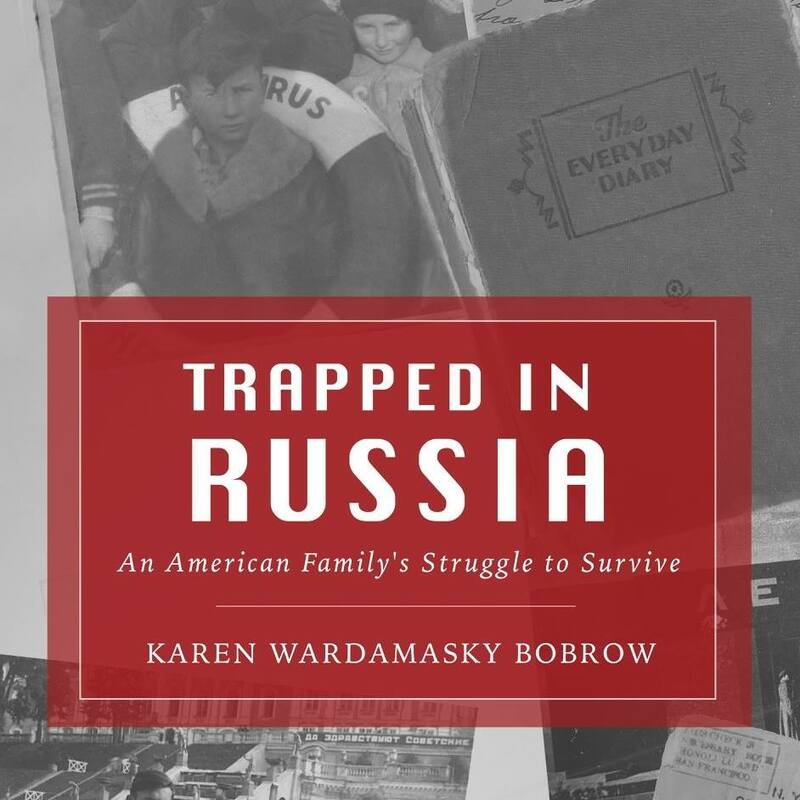 You’d think the fact that Grandpa had lived in Russia for ten years would have made me familiar with the cuisine of his people, but that was not the case at all. 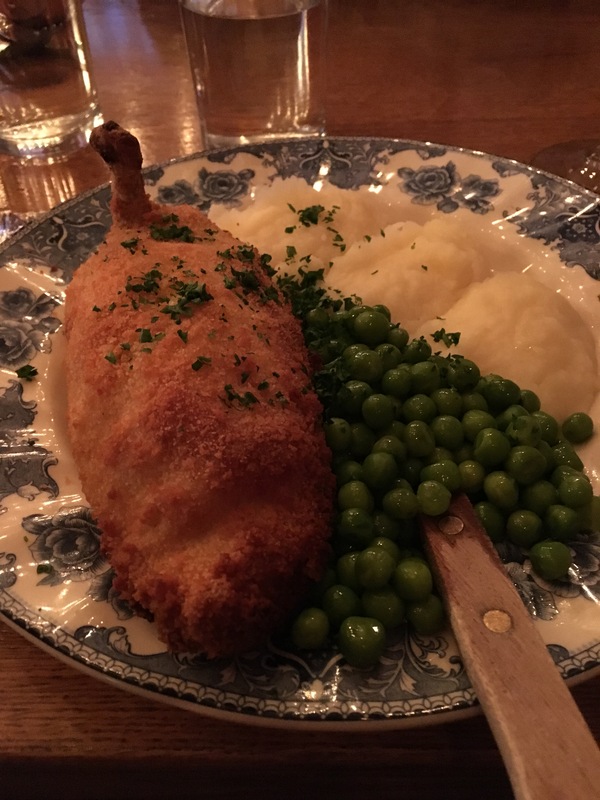 The only time I ever went to a Russian restaurant was when we accompanied Grandpa and his cousin, Misha, to a restaurant in New York City, where I believe I feasted on Chicken Kiev and mashed potatoes. I ordered the same for old time’ sake. I always have a glass of wine with dinner, but it I felt it would be wrong not to order some sort of vodka-based drink in a Russian restaurant. I ordered a strawberry-infused vodka cocktail. Delicious! Within seconds of opening my menu, a wave of emotion swept over me and I began to cry. I don’t know why, but after spending so much time writing my book about Grandpa, being in a place I knew he would have loved just caused those tear ducts to open and begin to flow. 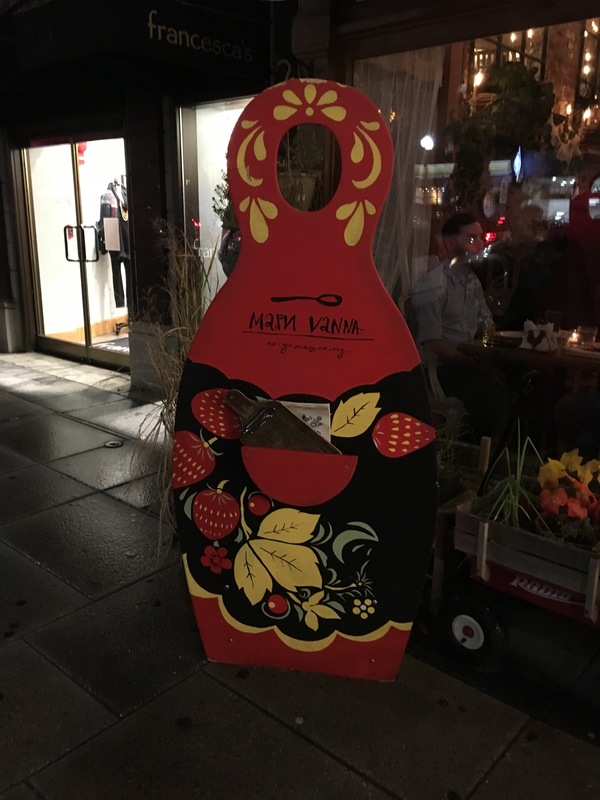 There were plenty of Russian-speaking patrons slurping their borscht and sipping vodka, and the bar was showing Russian cartoons. It was cozy, and the bathroom was decorated with Russian newspapers., which added to the ambience. While my meal was not my favorite on our food tour around the world, the atmosphere affected my soul the most.